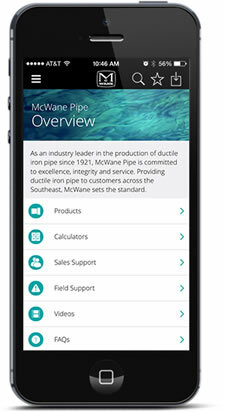 McWane Poles is a product line of McWane, Inc. McWane is a family-owned company that has been serving customers in the iron and ductile iron industries since 1921. Initial efforts on McWane Poles began in 2007 with research and development of a tapered pole design for centrifugal casting of ductile iron. In early 2008, McWane Poles was born. After casting molds were commissioned and extensive third party testing was completed, McWane Poles were taken to market. Today, McWane ductile iron poles are installed in 25 states and over 160 utilities. To continue McWane’s commitment to quality and customer service, a new 140,000sf building was purchased to house a new, fully-automated manufacturing line. This investment will increase capacity 5X and ensure that McWane Poles provides the shortest lead time possible. McWane’s patented manufacturing process allows McWane Ductile Iron Poles to offer engineered strength, dimensional consistency, and natural corrosion resistance. Ductile Iron Poles are impervious to rot, insects, woodpeckers and are highly fire resistant. Today McWane Poles offers Grade “B” construction design rated poles in Classes I – IV in sizes from 30’ to 70’. Also available are H Classes 1, 2, and 3 in sizes from 30’ – 65’. Because McWane Ductile Iron Poles are significantly lighter than concrete and wood equivalents, they are less costly to transport and install. Additionally, McWane Poles are a truly green product because they are made from recycled material and are 100 percent recyclable. All of this adds up to McWane Ductile Iron Poles being the best overall value in the utility pole market. Don’t just take our word for it; talk to our many customers. McWane Poles have been included in RUS, FEMA, and numerous DOT funded projects.